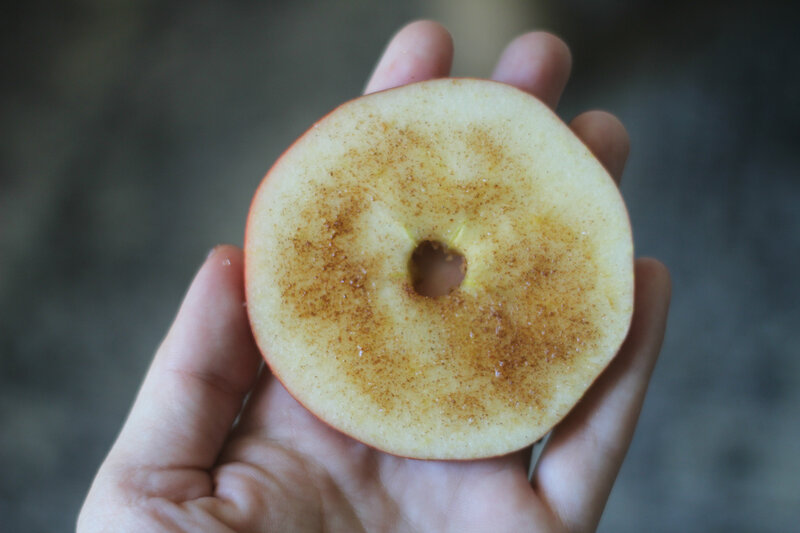 when it’s cold and i’m bundled in thick socks and sweatshirts and blankets, all i want to eat is anything i can put cinnamon on. today’s victim: the last two apples in our pantry. 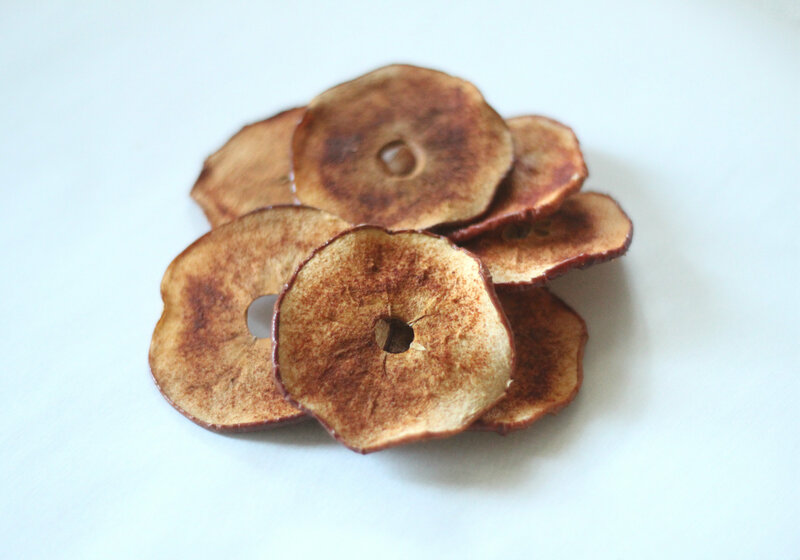 these cinnamon sugar apple chips made the house smell sooo good. and i don’t know, but maybe they could be healthy if you just used cinnamon and forgot about the sugar. if you’re into that sort of thing. i’m not. slice apples. i would have used a mandolin but mine was too narrow to fit the roundest part of the apple, so i had to slice these suckers with a knife. if your mandolin is bigger, i’m jealous. otherwise, slice the apples and remove the seeds and thick core. i used a smoothie straw like a cookie cutter to get those perfect little circles. 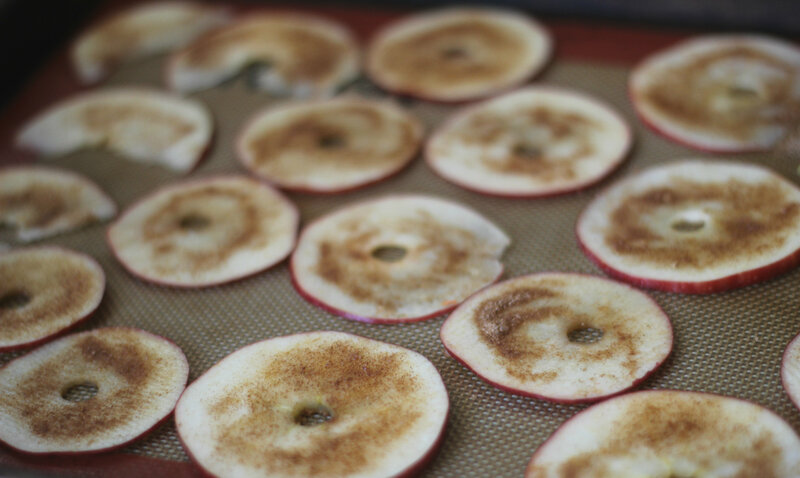 mix cinnamon and sugar, sprinkle on apple slices. bake for 1 hour. 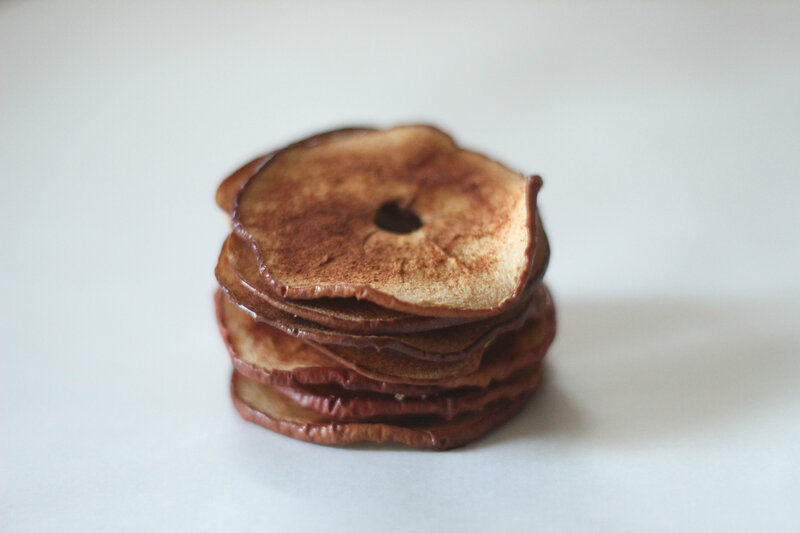 the rest of the time kind of depends on how thinly you were able to slice the apple. check at the hour mark to see if they’re done… then check every 20-30 minutes. you just don’t want them to be too bendy. more crunchy. these were so good, even the dog wanted some. 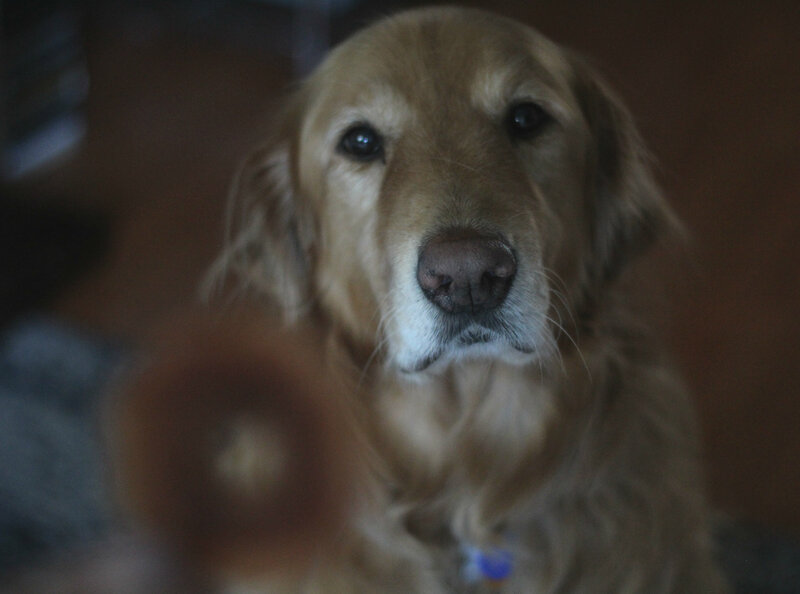 he waited very patiently (and drooled a lot), until i gave him a bite. i wish it was still warm outside, but i do love a house that smells like cinnamon and hot tea and blankets and curling up on the sofa with mochi.